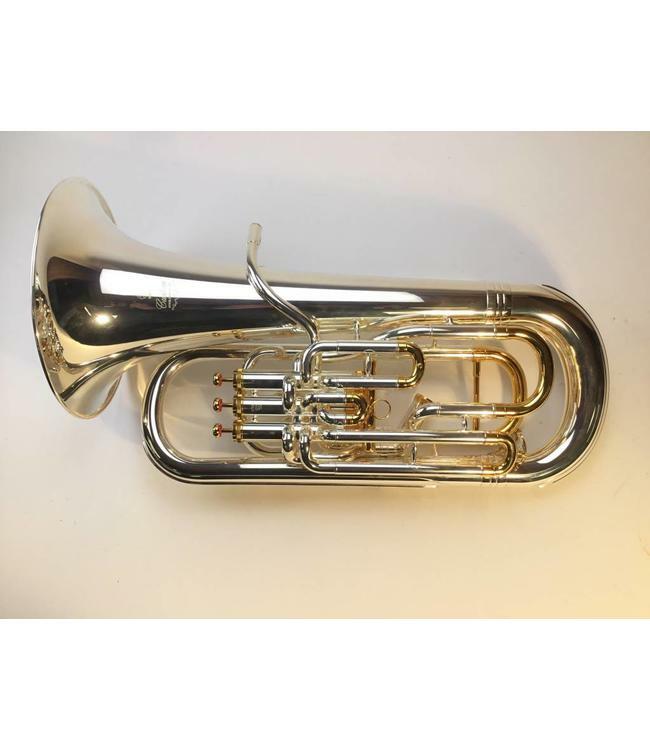 Used Yamaha YEP-842S Bb Euphonium in silver plate with gold trim. Instrument is in nearly new condition with minor surface scratching. 11.5" upright bell and 3+1 compensating pistons of 0.591"/0.661" bore; takes large shank mouthpiece. Includes case.